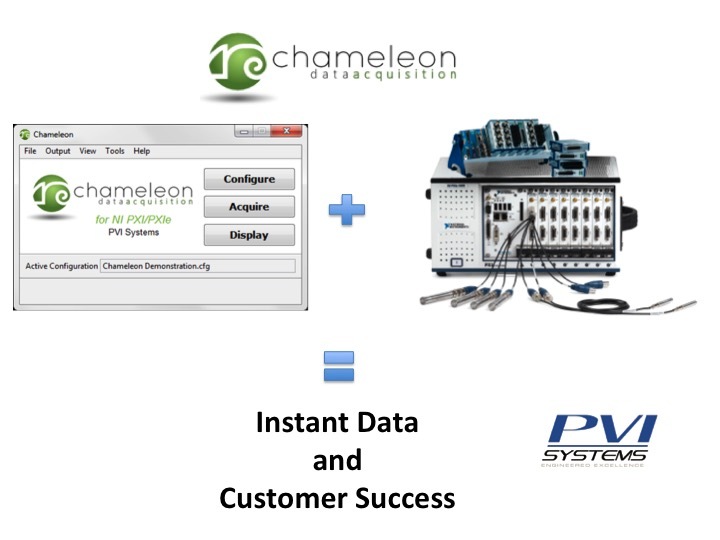 Chameleon’s unique architecture provides incredible power and flexibility with an easy-to-use interface. 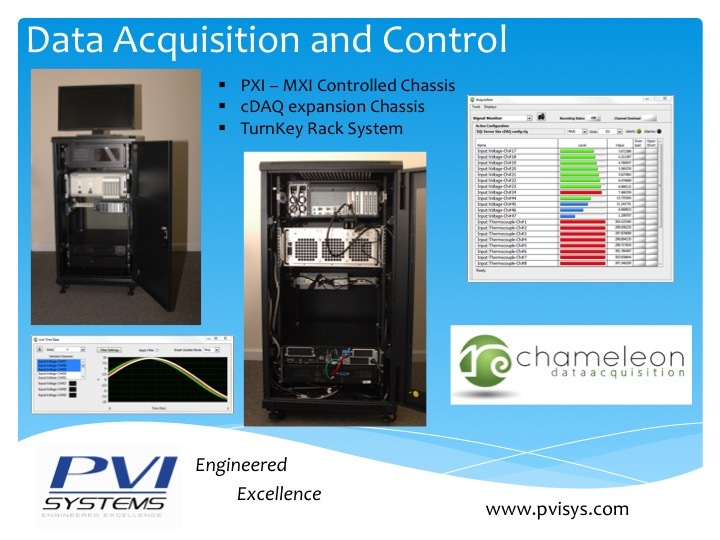 Other DAQ solutions can be overly complex and inflexible - Chameleon provides the same intuitive interface, whether configuring basic or high channel count systems. Expand your system in any direction while using the same user-friendly software tools. 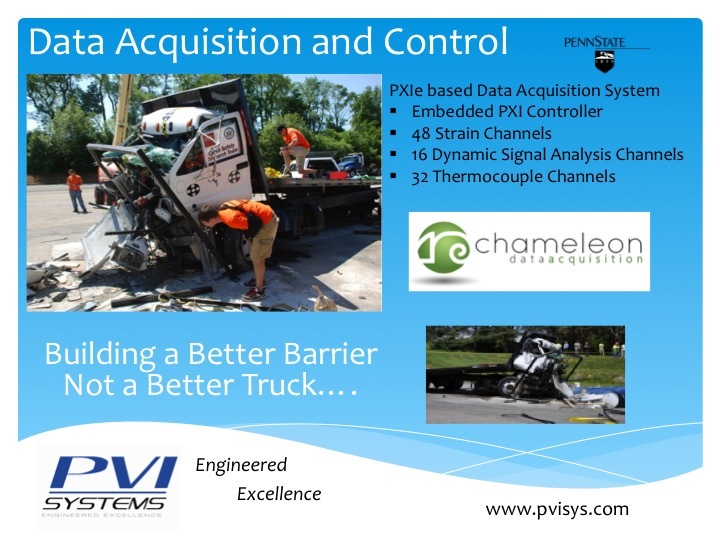 Chameleon offers compatibility with a wide variety of National Instruments controllers and data acquisition modules so you can configure a system to meet your specific application requirements. Have your system up and running in minutes, acquiring static and dynamic signals at multiple sample rates from a variety of sensor types. Reduced project time by removing need for programming. Chameleon with custom enclosure and connection options. Complete Turnkey test system.